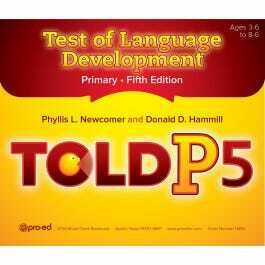 The TOLD-P:5 assesses spoken language in young children. 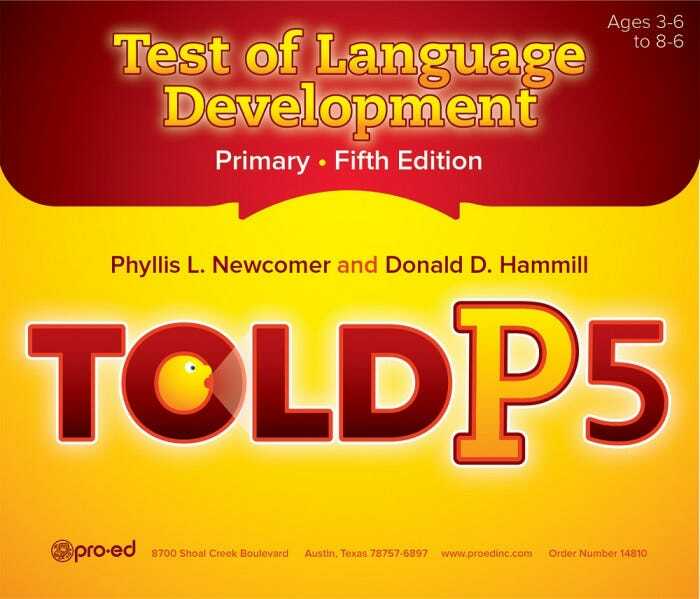 Professionals can use the TOLD-P:5 to (1) identify children who are significantly below their peers in oral language proficiency, (2) determine their specific strengths and weaknesses in oral language skills, (3) document their progress in remedial programs, and (4) measure oral language in research studies. Complete kit includes Examiner's Manual, Picture Book, 25 Examiner Record Form, all in a sturdy storage box.